Comic book sensation Amanda Conner's depiction of Red Sonja has been immortalized in this Limited Edition Artist Proof variant statue! DYNAMITE ENTERTAINMENT proudly brings this fan-favorite comic book artist's vision of the She-Devil with a Sword to three dimensions with this hand-painted, limited edition resin statue! 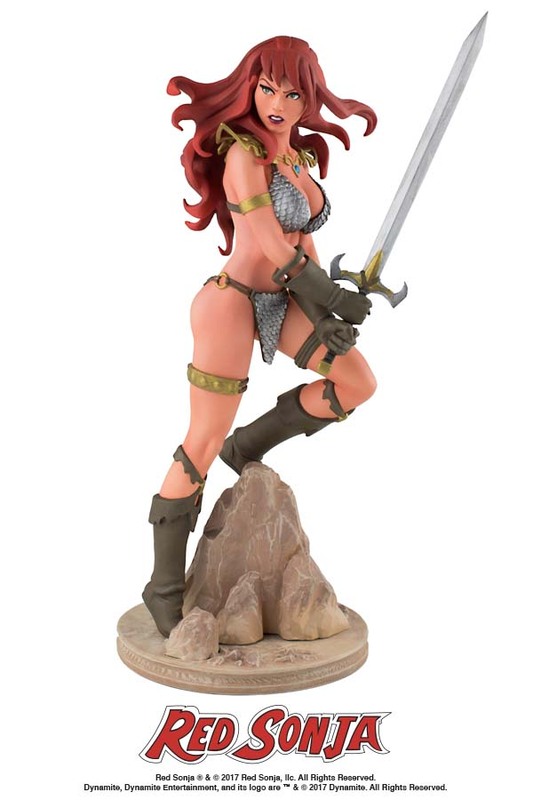 Based on Conner's cover artwork to Red Sonja: The Black Tower #1, the statue is sculpted by Jason Smith, measures approximately 7.5" high, and stands on a 3" wide base. 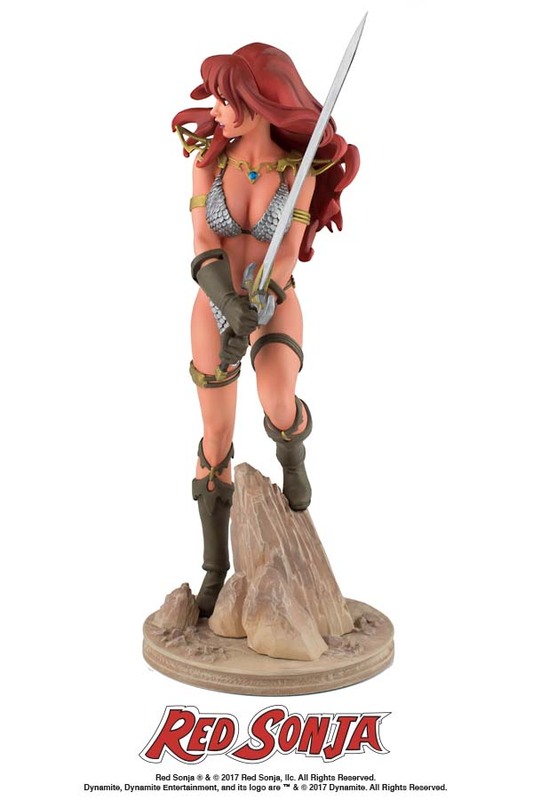 Including a numbered Certificate of Authenticity and shipping in a full-color display box, the Red Sonja by Amanda Conner Statue reveals our well-armed warrior, ready for action!